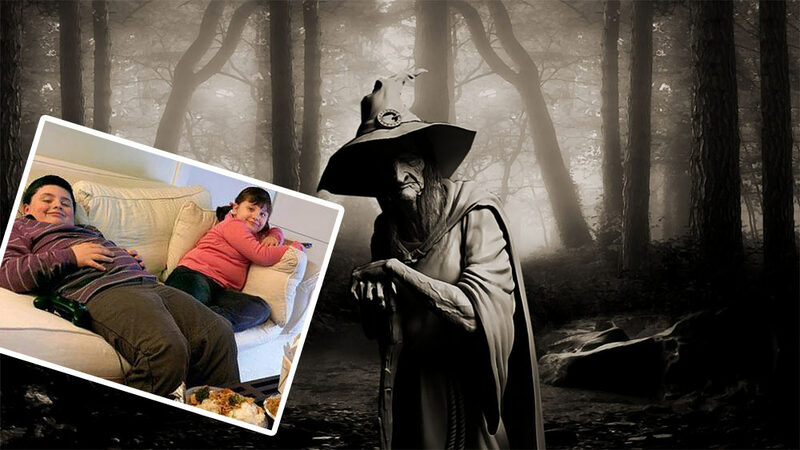 An evil witch has been left homeless after a brother and sister, from Ellesmere Port, scoffed her entire house. The witch, 376-year-old Agnes, had lived in a gingerbread house in Germany for the past 200 years. She recently moved to a new gingerbread house in the UK, located in Whitby Park. Her gingerbread house, made entirely of edible candy, was to be used by the witch to lure and ensnare children she could fatten up and eat – something she did regularly in her homeland. However, she found she’d bitten off more than she could chew with the children of Ellesmere Port, unlike the children themselves – who bit off, chewed and ate her entire house. The witch tried to lure siblings Kevin and Donna Rose, from Enfield Road, with her candy condominium. She placed sweet treats throughout the park, designed to lure the unsuspecting children to her home when they would gorge themselves until they fell asleep, and she could cook them for her supper. Agnes realised things were going wrong, however, when the hungry halflings ate their way through her side wall, causing her upstairs bathroom to come crashing down around them. They then proceeded to eat her bathroom, spare bedroom and her kitchen. Before Agnes could stop the frenzied children, they had eaten her entire home and had started on her car – which wasn’t even made of candy. Those greedy bastards ate my whole f*cking house. I came to the UK because I heard the children were nice and plump, but these two took the piss. After being made homeless, Agnes is to return to Germany where the children show more restraint with their sweet eating.